As a serious international food company supplying products worldwide, we consider it our primary job to meet the strict requirements of the Danish veterinary authorities as well as the requirements of our customers and the export markets we sell to. 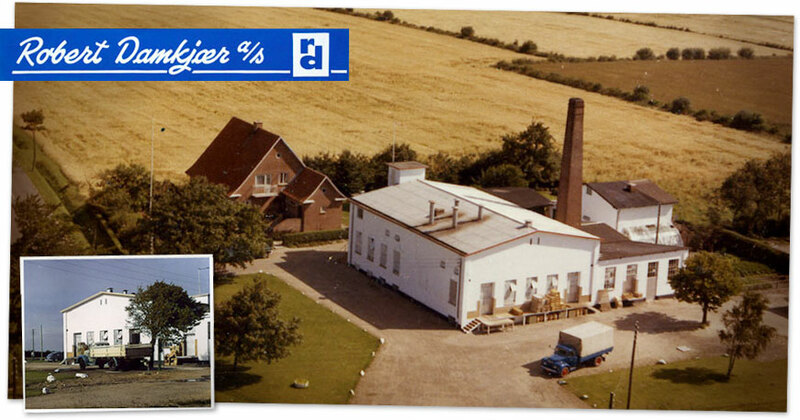 We see the Danish authorities as our partner in our aim to always deliver food products of highest quality and safety. In Denmark, the veterinary authorities frequently visit food manufacturers. For each visit from the authorities, a report is made – public for everyone to see. Our latest report can be found here. 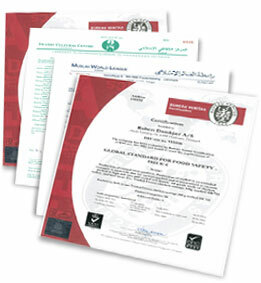 At Robert Damkjaer we have obtained both the IFS certification (International Food Standard) and the BRC certification (British Retail Consortium). These two respected standards define requirements concerning food safety and quality. Furthermore, we are halal certified. Certification is always carried out by an external, trained certification body conducting regular inspections thus ensuring all requirements are maintained. We have developed a series of strong brand concepts – carefully targeted to each market. One of the chief aims of our company policy is to observe the standards of IFS and BRC. Food safety and quality are of highest priority.